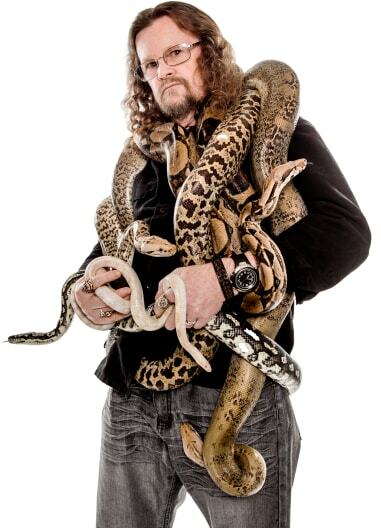 This is for a personal reason I would love to have a photo shoot with a snake a large one preferably. I love snakes and it’s a personal reason I want to do this. This is a welcome home party for my best friend/roommate from New Zealand. She’s 21 and loves reptiles. We’re having some friends over snd it’s an apartment, so space is limited. Iguanas, lizards, and snakes... oh my! Does your little rascal want to have some of nature's cold blooded friends at his next birthday party? Let your little one unleash his or her wild side as they interact with some of nature's creepy, crawly, slimy, and scaly creatures. Not only do your kids get to touch some of these otherwise undomesticated animals, but they also learn a thing or two in the process. You could even bring the reptile show to an assembly to get an entire school involved! Educational entertainment that the kids WANT to participate in = win! Search for Reptile Shows in Philadelphia, Pennsylvania above. Please note that these Reptile Shows may also travel to Haddon Township, Woodlynne, Millbourne, Yeadon, Gloucester City, Oaklyn, Lansdowne, Upper Darby, Brooklawn, Bala Cynwyd, Merion Station, Collingswood, Darby, National Park, Mount Ephraim, Merchantville, Audubon, Thorofare, Sharon Hill, Westville, Collingdale, Narberth, Wynnewood, Bellmawr, Aldan, Haddon Heights, Drexel Hill, Clifton Heights, Haddonfield, and Folcroft.